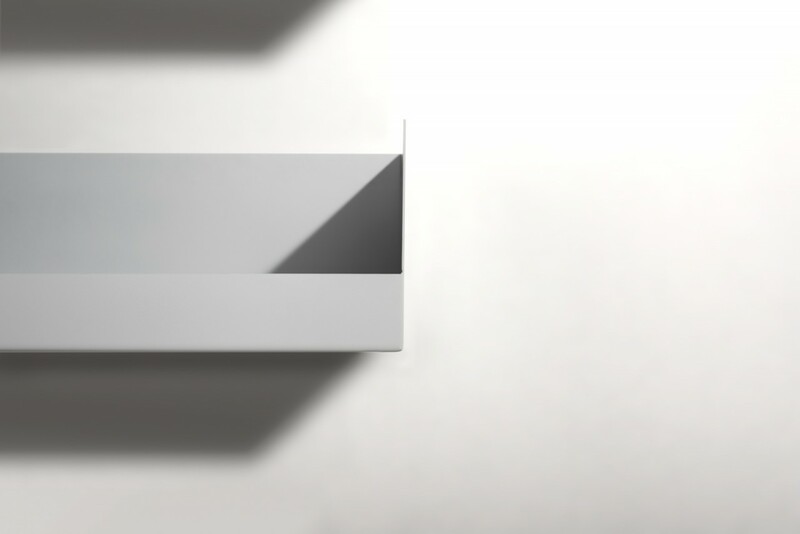 Boks is a smart wall shelf made out of folded steel sheets. It is perfect for storing and displaying your favourite items. The shelf’s special feature is its bookend. 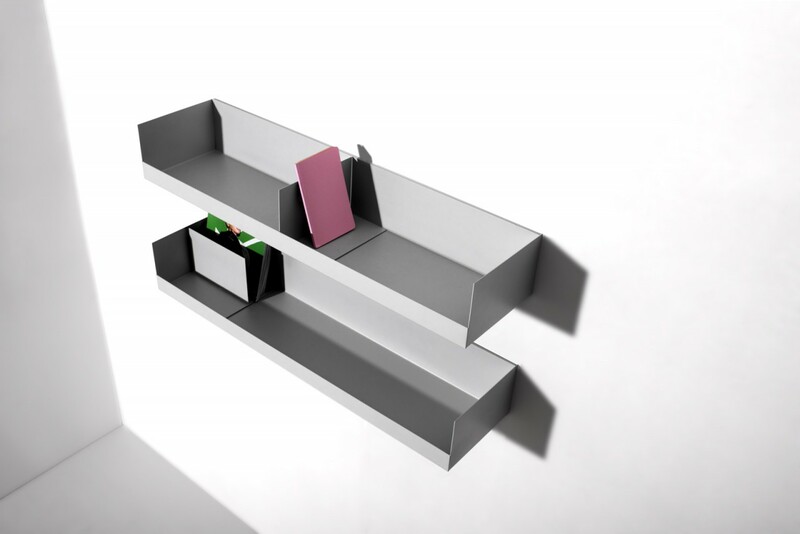 It is designed as a t-profile and has the same dimension as the inner-space of the shelf, thus you can easily move it inside the shelf to create the look you want. Furthermore, you can rotate it by 90° and use it like a partition to store and exhibit your newest magazine, book or postcard. 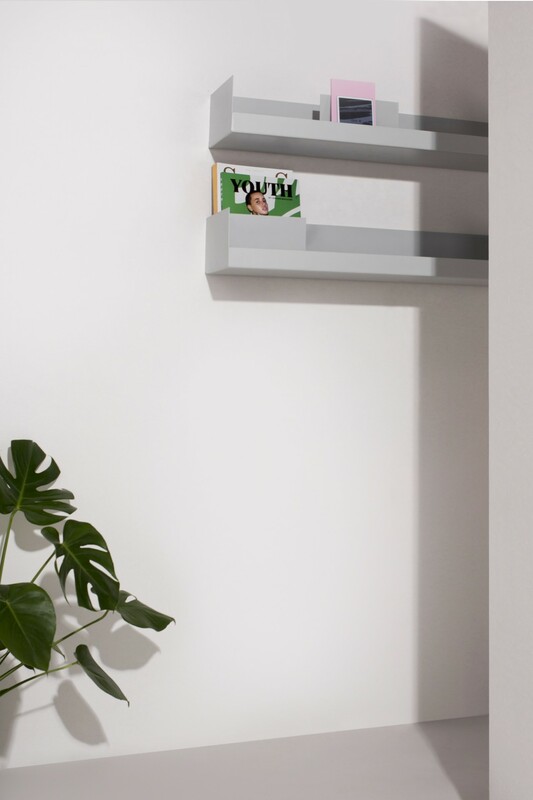 The shelf is wall mounted through a metal strip which is attached to the wall. 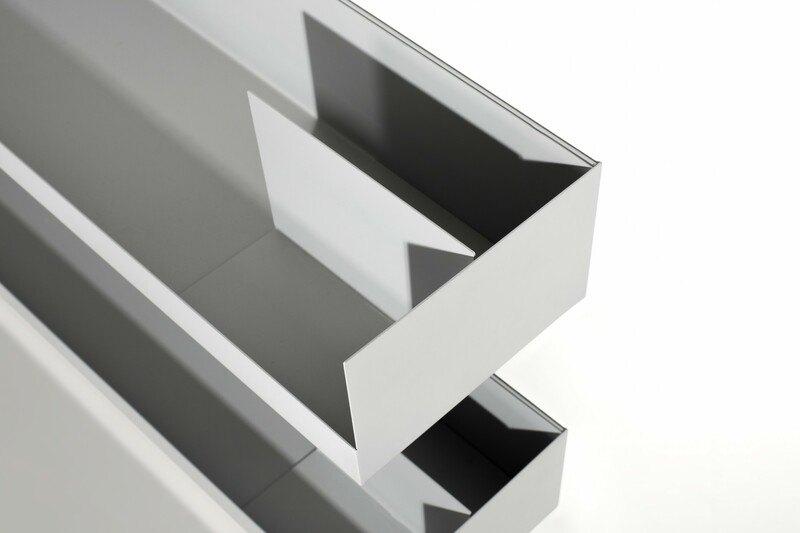 The metal strip allows you an easy assembly as well as disassembly without seeing the attachment to the wall.